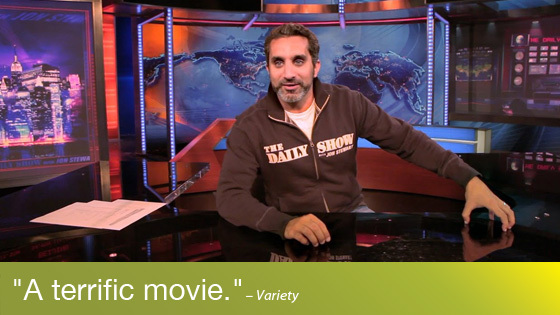 Known as the Egyptian Jon Stewart and hailed as a hero by other faux-pundits John Oliver and Samantha Bee, cardiologist-turned-comedian Bassem Youssef hosts The Show, a satirical news program that skewers politicians and holds them accountable. However, hosting such a show in Egypt amidst turmoil is a little different from hosting a show in the U.S. and Youssef finds himself not just under fire but potentially in danger. Able to create his show during the revolution, the documentary follows as a new dictatorship takes rise and threatens Youssef's new role in society. Hilarious and endearing, he's every bit as likable as his North American counterparts—and with so much more at stake.